A rustic mountain hut in a sunny and ideal location, ideal for people who enjoy spending their holiday in a natural setting. 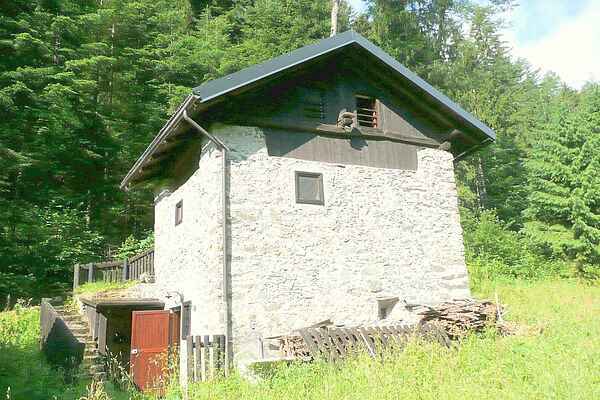 This mountain hut lies on the edge of the meadows and forests, 1 km from Malè. The house is furnished in typical mountain style. The house is a perfect base to discover the beautiful Dolomites, Val di Sole and Val di Rabbi. The area is perfect for the energetic holiday maker. You can enjoy walking, cycling and rafting on the river Noce. You can also relax in the Terme di Rabbi Spa Resort and enjoy shopping in Trentino. Notes: There is bad reception of mobile phones in the house and it's surroundings.